Order GRUIFORMES: Cranes, Rails, etc. 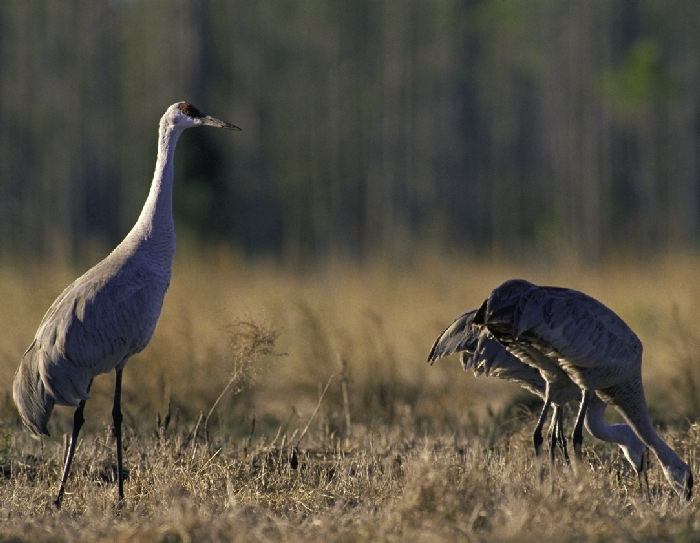 The Cedar Creek area is the only recorded breeding area for Sandhill Cranes in eastern Minnesota. Broods have been seen in 1979, 1980, and 1983 in the large marsh north of 76. Cranes also may have bred in the large marsh just east of East Bethel Boulevard and other marshes near Fish Lake, since a brood was seen in that area in 1986, 1990, and 1992. Cranes have probably been breeding at Cedar Creek since the early 1970's. The cranes return to Cedar Creek in early spring, in late March or early April.